You can customize your sauce as I sometimes do tossing in a broken carrot for a bit of sweetness, half an onion, ad pinches of red pepper flakes. Today along with the recipes addition of garlic cloves to roast along with the tomatoes, I tucked in a big fat clove of sweet black garlic. Preheat oven to 350°F. 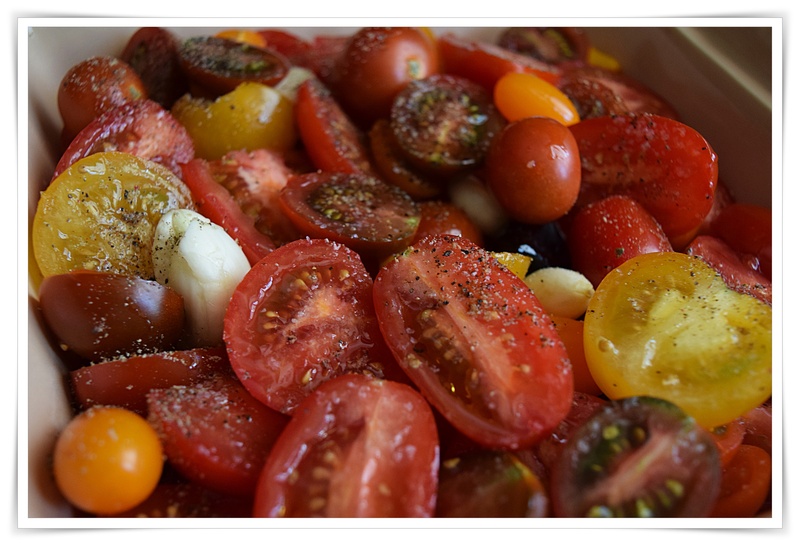 halve your choice of tomatoes and pack them in a ovenproof dish. Tuck the garlic cloves, drizzle EVOO over tomatoes, toss and season with salt and pepper. Roast for 35 minutes, until soft and just beginning to brown. I whizzed the roasted tomatoes with an immersion blender and strained through a food mill to remove the seeds and tomato skins. *optional: Add pinches of red pepper flakes fresh basil, thyme, oregano, a fresh bay leaf and some black garlic if you have some…if you want more garlic, add another clove or two. In the meantime, transfer the tomato mixture to a saucepan and add the butter. Simmer gently, aiming for a thick but not-too-pasty consistency. Add water if necessary. Season to taste. 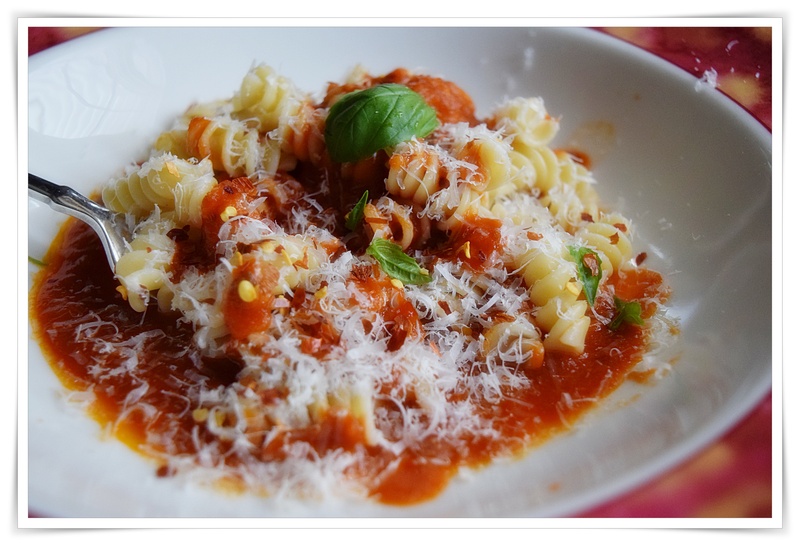 Toss the drained pasta with the sauce and serve with Parmesan cheese.